European Union in Bible Prophecy: MACRON, ISRAEL AND BIBLE PROPHECY ? 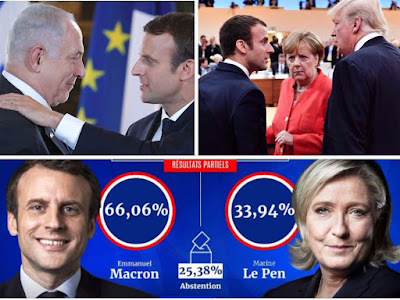 MACRON, ISRAEL AND BIBLE PROPHECY ? This student of Bible Prophecy needed time off to consider and meditate upon what Emmanuel Macron's 'Surprising' victory in the French elections meant as the 'birth pang' signs of the end of the age keep on increasing before our very eyes !!! ( The birth pangs are 'GUARANTEED' to keep on increasing; according to the Biblical Prophecies. ) If you have been a regular visitor here; you and I were front row witnesses to the somewhat surprising victory of Mr.Macron. EUinProphecy.com was one of the first Bible Prophecy websites to cover the rise of this very surprising new EU leader and I commend all those who are also now 'Cautiously' covering this very interesting new global actor. Whatever happens during these 5 years; 'NO' one will ever be able to state and complain that nobody was watching and that nobody warned them; that is what this student of Bible Prophecy has been very patiently trying to do all these years !!! This student of Bible Prophecy remains 'Flexible and Open' to the various 'Twist, Turns and Surprises' that will ultimately allow the final 'Little Horn' to rise to his full prophesied power; 'WHOMEVER' he may end up being* Mario Romano, is just trying to correctly interpret the Prophecies of Daniel. 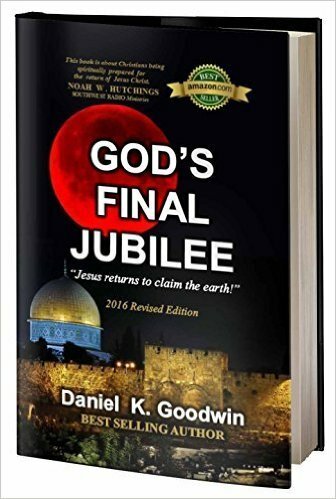 Some may argue that its 'too early, too soon' eventually someone is going to be proven wrong and that is why this student of Bible Prophecy is very 'CAUTIOUSLY' approaching all of this; he wants to be among the few who ends up interpreting Daniel's Prophecies correctly, when all is said and done !!! This student of Bible Prophecy will have a very clear conscience when the trump of GOD sounds; he will know fully well that he used all the gifts that his creator 'GOD' bestowed upon him to : Teach, Warn and Encourage others that the Prophecies of the Holy Bible are true and that most of the yet unfulfilled one's are on their way to being fulfilled in our lifetime !!! 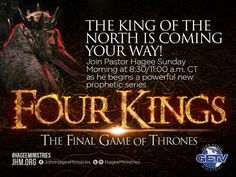 EUinProphecy.com is here because some people and even some believers don't know what has been taking place in the regional : political, military and economic epicenter of the endtimes entity that is going to ultimately produce the 4th Beast. We are also here to interpret what is 'Presently' taking place with the inheritor that is carrying the DNA of the 4th Beast and we are here to 'teach and forewarn' about what the Prophecies of Daniel and Revelation reveal to us about what the 4th and final Roman -Mediterranean Beast is going to do to : Israel, the Middle East and most of the unsuspecting world in the not too distant future; once it gets its final 10 horns !!! Sometimes there is so much 'Background-Noise, Hoopla , Misinformation, Smoke & Mirrors and all the Static' around certain global events and powerful world leaders that this student of Bible Prophecy needs to take a 'step back' to allow him to 'Let it all sink in' so that he can separate the truth from opinions !!! NSA and CIA intelligence analysts are normally overwhelmed with data; the trick is to try to interpret all the available and incoming & accumulated data ( intelligence ) correctly and that is what this student of Bible Prophecy has been trying to do. The time I took off certainly did help. Because we are the final generation; this student of Bible Prophecy does 'NOT' believe that the rise of Macron is a 'fluke.'... 'IF' certain things begin to flare up even more so around Israel ( Temple Mount*) and if Russia continues to meddle even more so in the Middle East then we will all know what's next in the Prophetic calendar. It took Stalin and Hitler years to get to their zenith of power; 'slowly & patiently' they rose to power and both were eventually baptized with the fires of war. War is coming; the Arab Spring has produced massive Mediterranean insecurity and presently a large percentage of Europeans are clamoring their EU leaders to stop taking in more and more Islamic refugees; rapes perpetrated against local European women by some Islamic refugees have significantly increased throughout several EU cities and the local and federal police and intelligence authorities of several EU cities have their hands full trying to keep an 'eye and a ear' on literally thousands of Islamic young men who could very well be sleeper Jihadist's !!! This can't go on forever and you better believe that this student of Bible Prophecy 'SUSPECTS' that Islamic Terrorists are planning a 9-11 against a European target. The 'Little Horn' is going to need a great excuse to justify his war in the Middle East and continued Islamic Terrorism in European cities may just be the perfect justification that will pull in European soldiers in the future into the Middle East. Former U.S. President George W. Bush did just that post September 11; and that was to invoke 'Article 5' of NATO and take the war into Middle East targets. No one can state that the victory of Emmanuel Macron did not at the least 'DELAY' the ultimate day of reckoning for the EU. 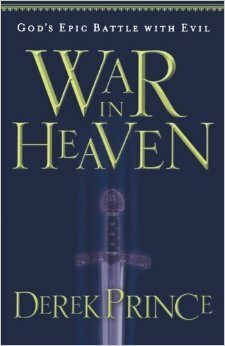 EUinProphecy.com is going to be very careful in approaching this topic because in the past there really was a 'Recommendation 666' via the now deceased Western European Union ( WEU ) but the WEU is 'NO' more. Sarkozy also did manage to be at the forefront of creating the Mediterranean Union and he did tried to broker the Middle East Peace Process 'BUT' he too is now history. The Club of Rome composed several global members is also a real organization but it also is 'NOT' the final 10 Horned Beast of Revelation. For many years this student of Bible Prophecy has stated that he is 'OPEN' to last minute scenarios, should one of them not pan out. This student of Bible Prophecy knows fully well that several : wars, mega-riots, Terrorist attacks and natural disasters are headed to the EU ( Eurasian Region*) and that the EU is far from being finalized !!! ( Such riots and orchestrated Islamic Terrorist attacks have already happened in the past*) There are coming assassination attempts as well as 'un-natural deaths' to some of the leaders in that part of the world in the future. EUinProphecy.com is most certainly 'OPEN' to various upcoming 'Twists, Turns and Surprises' that could overtake and overwhelm the EU in a short period of time in the future; so 'YES' we are still open to other possibilities should Macron be proven a fluke in these 5 years of his Presidency. Most Muslims will be expelled from the EU in the future during the Tribulation period; this has already happened on several occasions throughout the history between Islam and the Europeans in the past; its not that this writer is advocating and promoting ethnic war; its that history does comes in repetitive cycles; Europe will 'NOT' convert to Islam they are prophesied and guaranteed to 'WORSHIP' their future endtimes leader, his image and take his mark !!! ( Revelation 13 : 4 ) Europeans will grow tired of Islamic Terrorist attacks on their soil and eventually martial law will be declared and many will be expelled and repatriated out of the EU for being 'enemies of the state' !!! When the NAZI's rose to power in the past they not only persecuted the Jews; but they also despised & went after : Communists, Socialists, Gypsies, and all they believed to be Inferior to the Aryan Race within their grasp. In the end over 14+ million Russians died because of Hitler and over 4+ million Jews; what this student of Bible Prophecy is trying to tell you is that the endtimes Little Horn is going to 'Mortally Neutralize' more Muslims than Jews when it is all said and done. 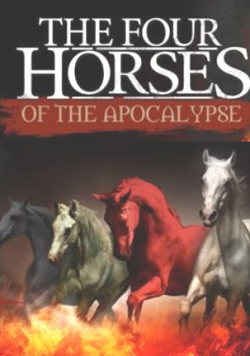 As the First horseman of the Apocalypse conquers a large segment of the Middle East as the Roman Empire once did during the first phase of the Roman Beast millions of Arabs will try to defend themselves from him and will undoubtedly die in the process !!! This student of Bible Prophecy knows that Macron's age makes it possible for him to be a critical endtimes player. Should Macron have a 'Decent' Presidency in his 5 year term he will qualify for another 5 year term, so 'Yes' he most certainly could be on the world scene in this 10 year window. Should Macron be an absolute fluke and failure like his predecessor Mr. Hollande then the extreme parties of France have a high chance of taking over in the future. Alain Minc; a French : author, businessman and political advisor jokingly told Macron once that he must have made a 'Contract with GOD' to have had so much luck in overcoming so many political odds; that even surprised and stunned most French political analysts with his victory !!! Another of Macron's past college friends recently 'jokingly' stated in an interview that Macron must have had made a deal with the devil to have accomplish all that he did in just than less than a year !!! This student of Bible Prophecy is just trying to figure out which of these two insights will ultimately prove correct about Mr. Macron !!! According to Marc Endeweld one of Macron's biographers, Mr.Macron is 'NOT' a regular churchgoer. In secular France, presently only 50% of the population still identify as Roman Catholic and only 5% regularly attend Mass !!! EUinProphecy.com must warn you that there are several Islamic Terrorist attacks coming to various EU cities in the future as well as various Islamic riots throughout several EU cities. The liberal democratic parties of Europe left a 'Trojan Horse' into their countries and they are going to pay for it in the future. I do not state this with any pleasure ; I'm just a student of world history and human nature. The ultimate rise of the 'Little Horn' will be made possible by several factors and Islamic Terrorism in Europe will certainly be one of them. EUinProphecy.com has been in existence since 1999 and when this website began I knew very well to some degree what I was getting myself into. The next few years will 'CONFIRM' to us all where we really are and how much time we have left, should Macron succeed then you know what it all means, should he fail and lose re-election in 5 years then things will become more obvious. All of this is also 'Contingent' on whether or not Mrs. Angela Merkel wins or loses in Germany's national elections in September. According to the latest polls Mrs. Merkel is winning the only way that this student of Bible Prophecy see her losing is if there are more Islamic Terrorist attacks before the elections in Germany or if she has some major and unforeseen health problems between now and then. As students of Bible Prophecy we should all approach this with 'Caution.' As a 'Watchman' we were one of the very first in all of planet Earth to observe the amazing political rise of Emmanuel Macron. 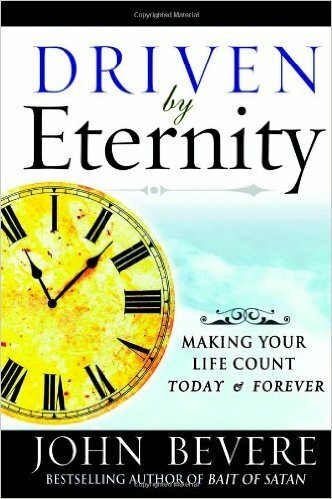 EUinProphecy.com just prays that we will end up being a 'Faithful' watchman from whatever transpires in these 5-10 years or as long as GOD my Creator continues to allow me to breathe oxygen on this planet. Mr. Macron inherited a mess in France 'BUT' he knew very well what he was getting himself into, it all reminds me of a movie scene from some old movie I watched years ago, while everyone was running away from impending danger this crazy character started running to this fire and in the end he managed to save some people from the fire; he ultimately became a hero; this man had nothing to lose. It remains to be scene if Macron will be able to contend with the 'Massive' problems and challenges of the French economy and if that's not enough he also has to contend with major : Eurozone, Brexit, $Euro and the revolving $$$ Greek Economic crisis; if he somehow manages to politically survive then you and I will know what it all means !! !